Terrorism: Kidnap for ransom: to pay or not to pay? It is one of the best-kept secrets in the world. As freed hostages step on the tarmac after being released by terror groups in places like Mali, Nigeria or Yemen, no one dares to reveal whether a ransom had been paid to the kidnappers. Invariably, governments deny having handed over the huge sums requested by terrorists. Too much is at stake. Lately, more and more governments are advocating for a ban on such payments. Yet experts believe that, faced with a moral dilemma and pressure of public opinion, many governments still pay millions of dollars in ransom money to terror groups. As South Africans continue to wait for news of schoolteacher Pierre Korkie, who was kidnapped along with his wife in Yemen last year, analysts indicate that there is a worrying new trend of kidnappers increasingly targeting locals in the African countries where they operate. In its latest risk report, consultancy Control Risk Management cites Mali, Somalia, Syria, Afghanistan and Pakistan as the having the highest risk for kidnapping worldwide. In Africa, Nigeria, Mauritania, Niger, southern Algeria, Kenya and parts of Sudan are also on the list of high-risk places where terror groups engage in kidnapping. Other studies also indicate that Nigeria and Mexico still top the list when it comes to the number of kidnappings for ransom that are carried out annually. Institute for Security Studies (ISS) Senior Researcher Martin Ewi says kidnapping for ransom has become one of the most important sources of income for terror groups. ‘They use the money to buy sophisticated weapons and to expand their terrorist operations,’ he explains. 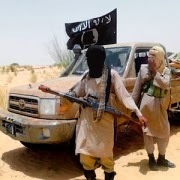 A declassified August 2013 report by the UK government states that at least US$70 million was paid to terrorists in the previous three to four years, and that al-Qaeda in the Islamic Maghreb (AQIM), which operates in the Sahel, has collected at least US$45 million in ransom payments from various governments. ‘It is the single largest source of income for a number of key groups, including al-Qaeda in the Arabian Peninsula [AQAP] and AQIM,’ the report states. Ewi says that the governments of the United Kingdom and Algeria have been particularly steadfast in their efforts to crack down on and prohibit the payment of ransoms to terror groups. Yet, this remains a very difficult moral choice, as governments could be accused of failing to assist citizens who become kidnap victims. France, in particular, has been accused of dishing out millions of euros to secure the release of its many nationals held hostage over the last few years, mostly in Mali, Niger and northern Nigeria. If this is true, is France encouraging hostage taking? Ewi says this moral dilemma, which is faced by governments all over the world, is one of the reasons why this is such a sensitive issue. ‘Even former hostages won’t talk about it, because keeping this issue a secret is often part of the conditions of their release,’ he says. The South African government seems to be taking a case-by-case approach on the issue – sometimes with a high-profile approach and at other times discreetly participating in negotiations. The government has consistently denied paying any ransom for its citizens. In June 2012, a South African couple held hostage by Somali pirates was released after intervention by the South African government. A ransom of US$500 000 was demanded for their release, but the government never admitted to paying it. Despite this denial, South African citizens are increasingly being targeted for ransom. The Korkie case has created unprecedented media interest, particularly after the involvement of charity organisation, Gift of the Givers. A deadline to pay a ransom of over US$3 million expired on 8 February, but unconfirmed reports indicate that Korkie, who was reported gravely ill, is still alive. While fewer foreigners might now be travelling to the dangerous zones in the Sahel, local workers of foreign companies and NGOs are still at risk, says Ewi. Earlier this month, five Malians working for the Red Cross were kidnapped in Gao in northern Mali. The Islamist Movement for Unity and Jihad in West Africa (Mujao) claimed responsibility for the kidnapping, which could be seen as an act of desperation by a group whose funds may be running out. Ewi says that the kidnapping of locals could also be used to put political pressure on African governments – who are not likely to pay for their citizens’ release – to yield to certain terrorist demands such as the release of prisoners, or even to abandon certain policies. ‘Depending on the response, this could become a trend,’ says Ewi. In Nigeria, groups such as the Movement for the Emancipation of the Niger Delta (MEND) have notoriously used kidnapping not only for financial gain, but also to get their political message across. This has abated somewhat since the 2009 amnesty offered to MEND by the Nigerian government, but Ewi says that the kidnapping of foreign and local oil workers in that country continues. The issue is just not receiving the same media attention it had in the past. Lately, foreigners in northern Nigeria and parts of Cameroon have also become victims of kidnapping by Islamist organisation Boko Haram and its breakaway group, Ansaru. Two high-profile cases last year – one of a French family kidnapped in Cameroon and another of a French priest, who had managed to escape his attackers – have been linked to Boko Haram. Ewi says that while the organisation had initially distanced itself from kidnapping for ransom, considering it a ‘dirty business,’ it now engages with this practice because of the potential profits involved. The group’s biggest ransom thus far is believed to be a payment of US$3 million for the release of the French family kidnapped in February 2013. According to the UK government report, 19 people have thus far been kidnapped by Boko Haram and Ansaru. Could the tracking of financial transactions be of some assistance in fighting this problem? The fight against piracy has been aided, for example, by tracking the financial transactions of Somali pirates in Kenyan real estate. Ewi says that this is unlikely to work. While pirates engage in kidnapping for personal gain, terror groups use proceeds to further their activities. Putting an end to political instability and zones of lawlessness remain some of the only ways to stop kidnapping for ransom in Africa and elsewhere. An agreement among states to universally prohibit the payment of ransoms, perhaps through an international treaty, will also certainly assist.